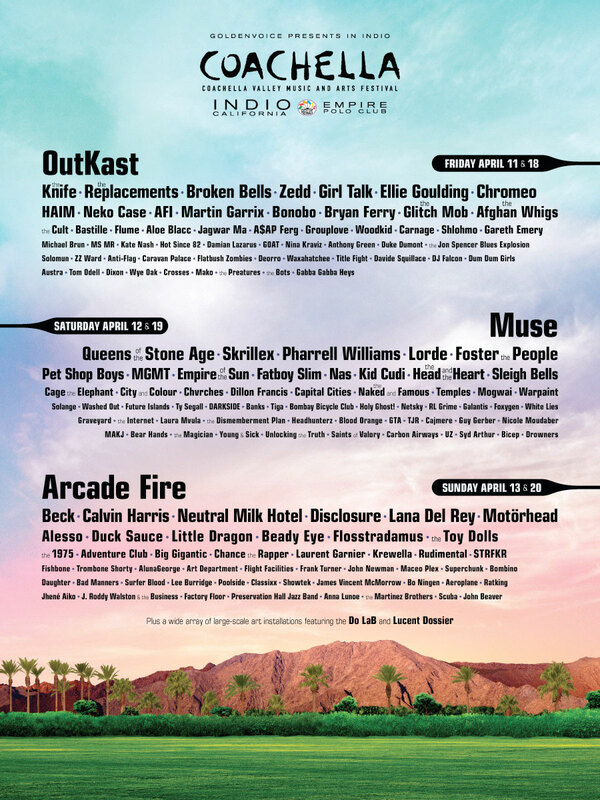 Outkast, Muse and Arcade Fire are the headliners for this year's Coachella. HAIM, Bastille, Broken Bells, Queens of the Stone Age, MGMT, Foster the People, Empire of the Sun, Fatboy Slim, Beck, Lana Del Rey, Beady Eye and The 1975 are among the other notable names on the bill. The festival in the Californian desert takes place twice - the weekend of 11-13 April and then again on 18-20 April. Tickets go on sale this Friday at 10am PST (6pm our time).